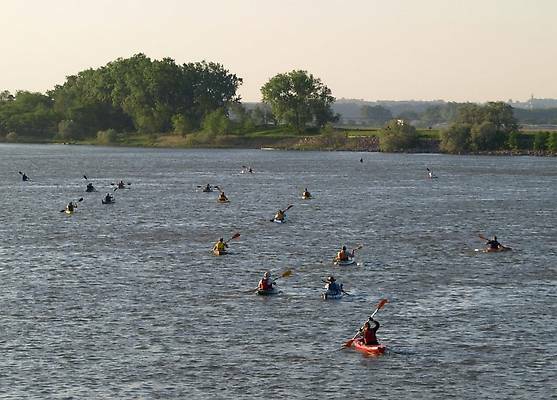 The first annual South Dakota Kayak Challenge launched on the Missouri at Yankton on Memorial Day weekend. 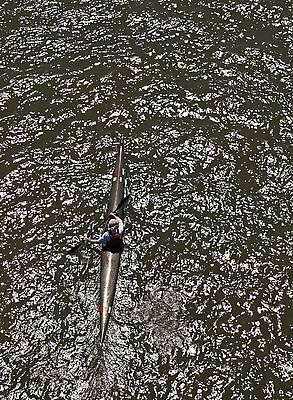 Dawne Olson of Vermillion provided us with these photos of the aquatic action. 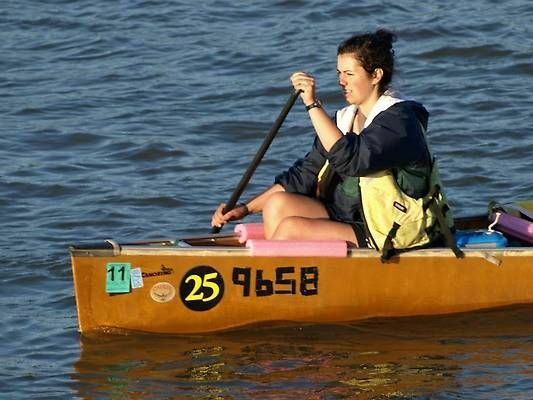 Dozens of canoeists and kayakers took part. 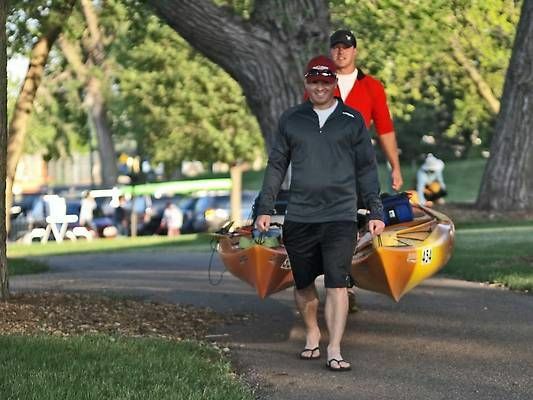 Riverside Park in Yankton was abuzz with activity early Saturday morning as the paddlers readied for their ride. In the background, note the Meridian Bridge, which is currently being restored as a walking/biking path across the river. 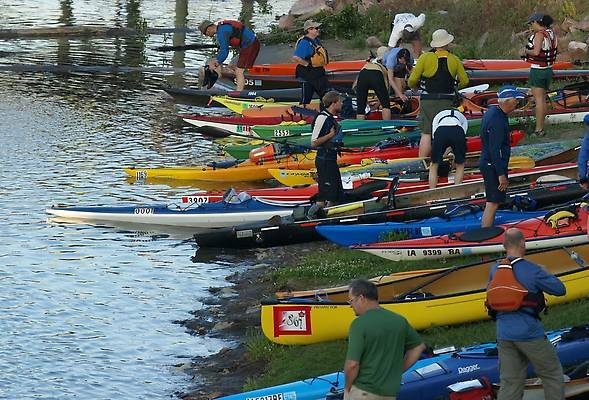 All sorts of kayaks were unloaded for the challenge race. These photos of the event were supplied to us by Dawne Olson of Vermillion. The colorful launch at sunrise was a sight to behold. The water is already warm, and the current below Gavins Point Dam makes the southeasterly trip a breeze. 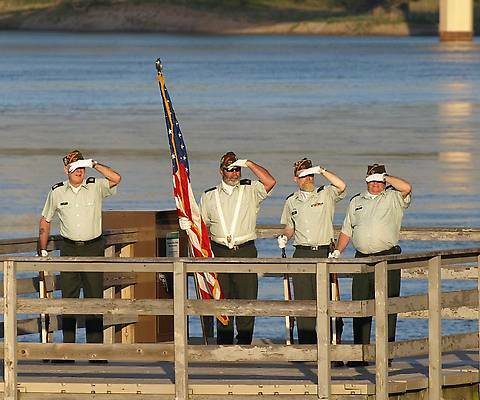 Local veterans provided a patriotic sendoff for the kayakers, respecting the Memorial Day weekend. And they're off! 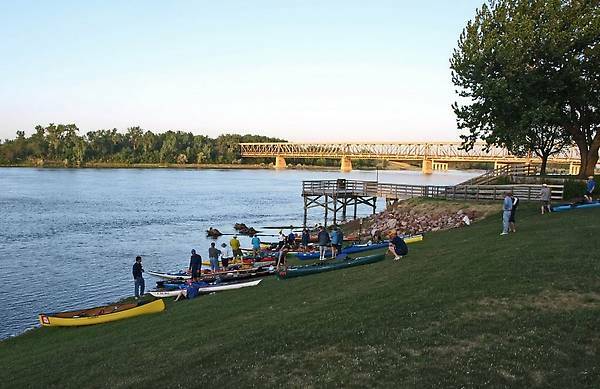 This is one of the last and the longest natural and wild stretches of the Missouri. The scenery is wonderful, and you're likely to see turtles, river birds and fish along the way. 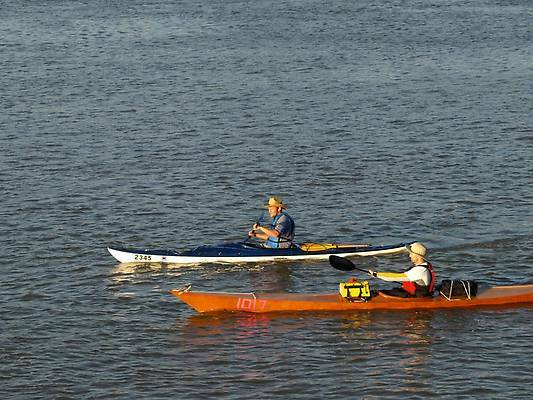 As the kayakers left port, they quickly separated from one another. The river is bigger and wider than it appears. The paddlers were well-prepared. Most were experienced at such a river journey, and the newcomers learned quickly. 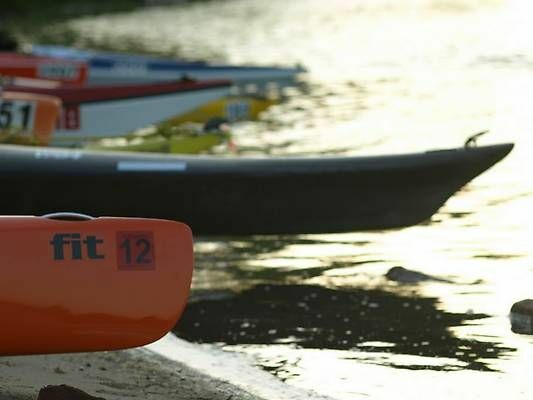 Race organizer Jarrett Bies says plans are already being made for a kayak challenge in 2011 so don't be upset if you missed this year's race. Jesse James Was Here. We Think.